Nov. Saturday 19, 1864 Independence Iowa there is a great many in from the country to day the streets are crowded. Buisness is brisk. 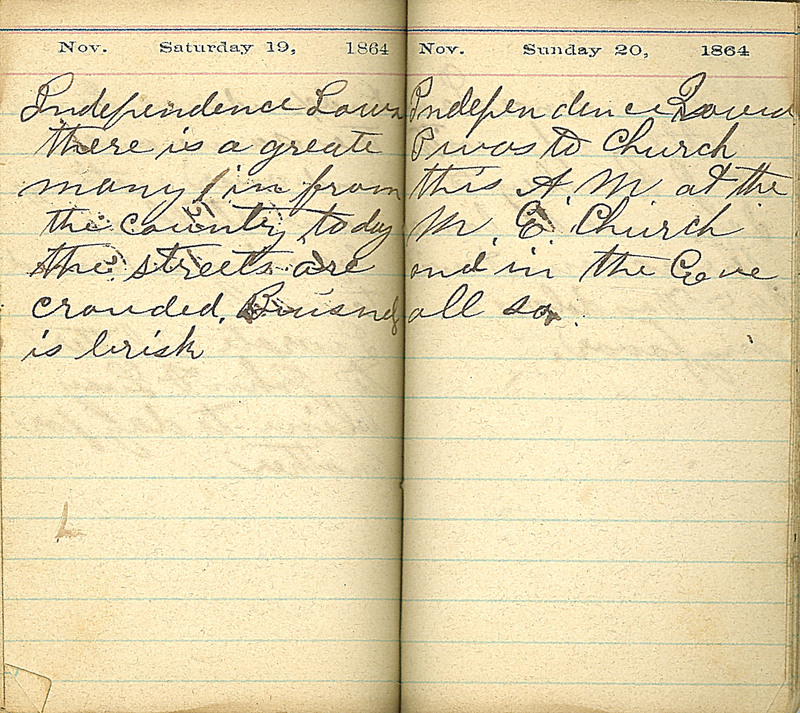 Nov. Sunday 20, 1864 Independence Iowa I was to church this A.M. at the M. E. Church and in the Eve all so.